Synopsis: ISO 22301 is the international standard for Societal security - Preparedness and continuity management systems – Requirements. It is widely anticipated that it will supercede BS 25999 part 2 as the global standard for business continuity management. 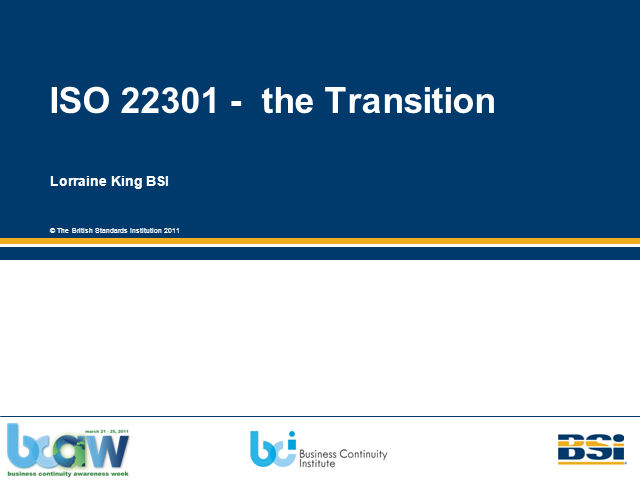 BSI’s Lorraine King talks through the practicalities of the new ISO being adopted and how business can be best prepared.